Find accredited schools where you can earn your Bachelor Degree in Business Technology fast. If your intended career path involves your given knack for business, coupled with your love for all things technology, then a bachelor's degree in business technology is sure to be the perfect fit for you! This bachelor's degree program, which is geared towards the science of management, will train students in areas that will be needed on a daily basis. For instance, students will learn how to plan for technology, manage a wide variety of types of projects, recover a business from a tragedy, manage and secure a network, and handle database services. A business technology degree in this field of study is designed to help businesses that do not own their own technology department. At the completion of your degree you will be capable of making sound business decisions that aim to benefit a pre-determined business strategy. You will also be responsible for working within and between a company's departments to ensure ultimate business success. While a degree will definitely prepare a student for entry level positions related to management or technology, for upper level positions a student may want to consider furthering their education. Find accredited business technology schools above and begin your training online. As you begin working to complete your bachelor's degree in business technology, you will likely be taking courses related to aspects of business as well as aspects of technology. For instance, you will be required to earn a passing score in courses such as business and technology law, corporate finance, marketing management methods, project management, network management, and financial analysis in technology management. This undergraudate degree program tpically takes from three to five years to complete. Keep in mind, if you have already completed some course work towards your degree, or if you have already completed your associate's degree in this field of study, then obtaining your bachelor's degree can be completed sooner. A bachelor's degree in business technology can be obtained through a traditional brick and mortar college or university, or through a distance learning program. While at first glance a student may think this degree program is the same as a degree in computer science, the focus areas are quite different. For instance, a degree program in business technology will have students placing an emphasis on information and management theories. In addition, this course of study has fewer mathematical course requirements. Students working to complete this degree program will also spend much of their educational time focusing on the communication and business aspects of the technology world. Regardless of which educational avenue you decide to pursue, once you have completed this bachelor degree program you will be armed with a skill set that potential employers will find valuable. Your diploma will allow you to smoothly transition into the career world of business technology. The courses required by this degree program will serve as a resource for the tasks that will be required by the technological leaders in today's businesses. Lastly, if you have practical work experience in this field of study, then you may be able to translate this into college credit. What's more, this experience in a relevant career place will look great on your resume. During your training program to earn your Bachelor’s degree in business technology you’ll take courses that range from business to HR. The curriculum you’ll take in business will mainly be for your core coursework. A Bachelor’s degree is typically made up of 120 credit hours of courses. If you are enrolling in a new school and you have earned other college credits make sure to bring with you your official transcripts to see if any can be counted toward your degree. Before you graduate with your Bachelor’s Degree in Business Technology you’ll want to work with the school your enrolled in as they often have job leads and a Career Services department that can assist you in your job search. Below are just a few of the occupations you should apply for. Post-secondary Business Teachers – With your bachelor’s degree you can continue and earn your teachers license and become a teacher in business technology. Investment Managers – As a fund manager you’ll use your investment knowledge to help increase wealth for your clients or the firm you work for. Sales and Officer Managers – Your knowledge of business makes you the perfect candidate for a sales or office managers’ position. Use your expertise to help a business perform better, implement technology to improve sales performance and profitability for the company you work for. Technology Solution Consultant - Help companies implement and even train on new technology. 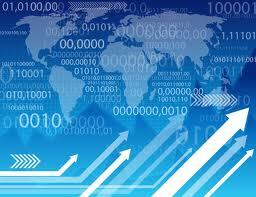 Technology could include new software, sales and marketing systems or even accounting software. As a consultant you’ll be paid typically by the job. Business Development – Become a business developer or manager. As a manager you’ll help companies implement technology or manage teams including marketing, sales or even IT. All business technology schools will have set forth a different set of learning outcomes. These outcomes are available to you even before you enroll so you know what you should be able to do upon graduation. Below are just some of the objectives you should be familiar with when completing your Bachelor’s Degree in Business Technology. - Be able to apply business technology behaviors in the business world. - Apply mathematical concepts to help solve business problems. - Apply a high level of problem solving techniques using databases and statistics. - Create business technology plans within the workplace. - Apply marketing strategies to budgeting and corporate business strategies. - Apply budgeting concepts to help yield an acceptable return on investment.